Get out onto the water with the Great Whites! If there is one thing you must add to your bucket list, it has to be shark cage diving with Great Whites! 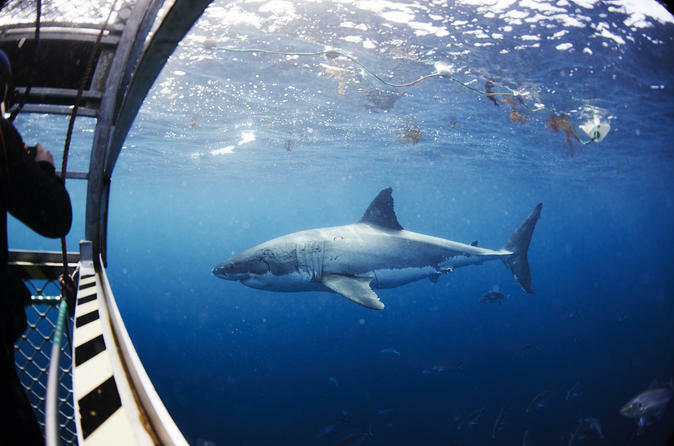 Featuring Australia’s first advanced eco-certified shark cage diving experience, this tour offer visitors the once-in-a-lifetime opportunity to view the legendary Great White Shark in its natural habitat. Listen to your favourite music and “Rock Out” with the Great White Sharks! For an extra fee ($125) payable on-site, you can also board the world’s first Shark “Aqua Sub,” revolutionary new way to view Great White Sharks in their natural habitat. Featuring a glass viewing area with a 360 degree underwater view, you can see sharks while staying completely dry! Cage diving is also included in this fee so our more adventurous passengers can get face-to-face with some Great Whites!. 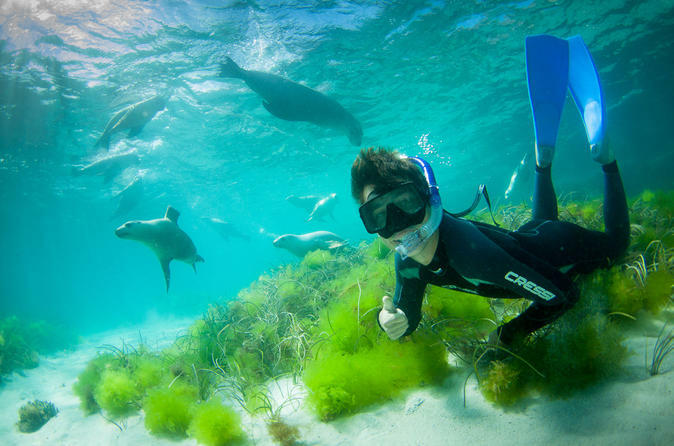 Witnessing Australian Sea Lions in their natural habitat might be one of the most life-enhancing experiences you will have. The inquisitive, gentle nature of these stunning sea creatures is unparalleled in the underwater world. Set off on a half-day tour to the crystal clear waters of Seal Cove, where the gorgeous puppies of the sea welcome your arrival as they bound toward the boat with their unmistakable glee and excitement; performing somersaults and graceful swirls, inviting you to join in.